Electrician – Amcro Electric is a full-service residential and commercial electrical contractor. Our team is staffed with top-quality, trustworthy and friendly electricians. We can help you navigate any kind of electrical services you might need in your home or office. Amcro Electric has been rated the #1 California Electrician, based on customer reviews. Check out our reviews on Google, Yelp, and CitySearch. We have been rated highly for our experience, customer service, and attention to detail. At Amcro Electric, we confirm the growing rates that other electricians are charging today. That’s why we strive to keep our rates affordable to residents in California, and the adjoining areas. Our certificated electrician will make sure that you are pleased with the quality of their work on every job. Whether the job is small medium or large, our company stands behinds our employees and the work they perform with a guarantee. Electrician from Amcro Electric is willing to offer free estimates, anywhere in California, no matter how far we have to drive to get to your location to do it. We also have solutions that will increase the lighting in your building while cutting your lighting cost by 50% or more annually. New light technology can result in a 50% energy reduction while increasing light levels. We realize how important it is to tailor our services to each client’s personal needs. 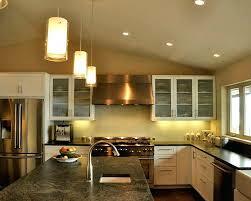 From a one-hour service call to bigger projects of Kitchen remodeling, Generator or Solar installation. With any professional or technical services, we offer Guarantee of the job will be done correctly and Hassle Free. I have a retail shop in Encinitas, and yesterday, just like that, the can lights as well as the light on my outdoor sign went out. I tried but could not get them on. I called Joe at AmCro electricians whom I have used before. He was there a few hours later and fixed the problem in about 40 minutes. Prompt, courteous, professional, reasonable. They just finished a complicated job on my property. Everything was well organized and I'm very satisfied with the work. Thanks Joe. Thumbs up! Called for an estimate. They came right over, identified the problem. Stated the cost of the parts needed, (no overcharging for the item) and service fee. Did the job well in record time. Highly recommend. We used AmCro electric when our lights suddenly started dimming in the house. Joe gave us an estimate that seemed to be reasonable and explained to us in the details what was the problem and how best to fix it. Joe was very professional and knowledgeable as an electrician and we will use and recommend them to our family and friends. I was in contact with Joe. He was very knowledgeable and fixed issues on time. The service was great and worth every penny. Efficient repairing and remodeling your home with well trained, certified, and fully equipped technicians from AmCro. With more than 30 years experience, our electricians guarantee the best residential and commercial installation services. 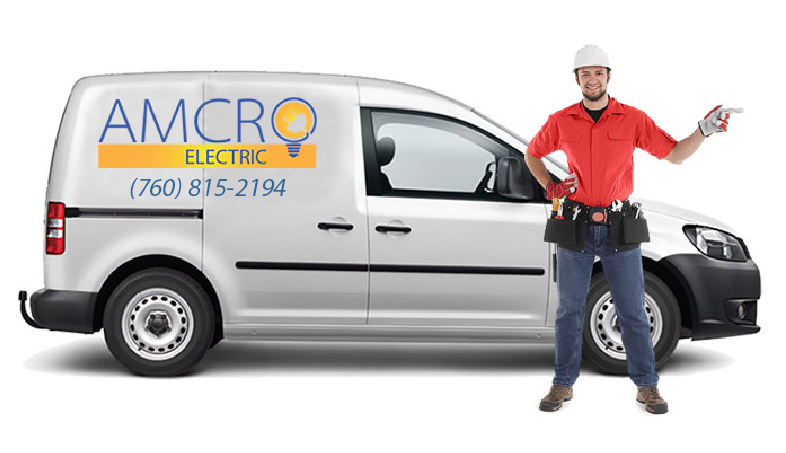 AmCro Electric can service new offices and buildings–from lighting to phone lines to industrial breaker boxes. For 35+ years, Am-Cro Electric has helped businesses and homeowners in San Diego with their electrical and lighting requirements. There are several electrical companies to choose from. Our differentiator is that we provide the service(s) we promise, on schedule and within budget. When we sign a contract, our electrician puts our word on it. Our customer’s references and our portfolios of small to large electrical projects are some proofs of our service. We tailor our interior lighting design services to each job, from a site visit to a full lighting design, complete with fixture specifications. Electric panel upgrades is another specialty of ours. This is an upgrade from the existing electrical panel. With all the new appliances and technical devices we now have in our San Diego homes, we find that older homes might not have sufficient power available to handle the increased demand. Home Lighting Repairs and Upgrades, Pool lighting, and Landscaping. Call AmCro Electric – Electrical Contractor serving all of San Diego including North County and South County. We have a rapid response for Encinitas, Carlsbad, Del Mar, San Marcos, Oceanside, Vista, LaJolla and Rancho Santa Fe. Our Specialty is Electrical Repair and Installation Encinitas Electricians also serves all of San Diego Electrical Emergencies.